After a green unity cup hit cafés prior to Election Day, many customers were up in arms over the company's apparent decision to ditch Christmas all over again. 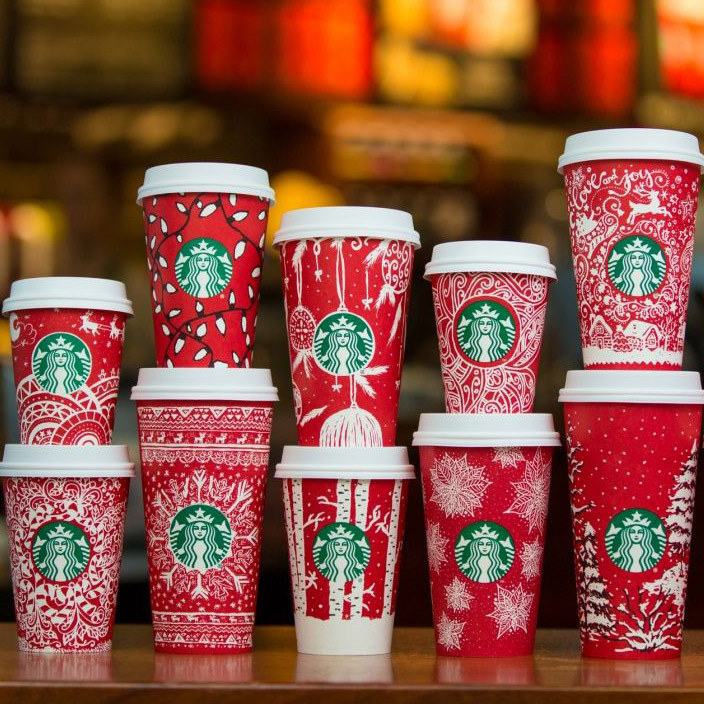 But critics can now be rest-assured that the world's most popular coffee chain will not be "removing the true meaning of the holidays" with its debut of not one, but 13 festive cups – a stark contrast to 2015's ombré option. Seriously, we could not be happier. If you are even remotely familiar with the story of Christmas, you know that the wise men did not drink peppermint mochas in anything but decorated paper cups, so it's a true relief that the real meaning of the holiday hasn't been affronted by the perils of inclusive corporate policy. The intricate and cheery designs come from Starbucks' #RedCupContest, which tasked the public with submitting creative sketches last year. Congratulations, world. Yet another attack on Christmas has been beaten back. Now that our coffee is guaranteed to taste better with reindeer, snowflakes and string lights, we can focus our efforts on less important holiday matters like how to bake the perfect sugar cookie and poverty.